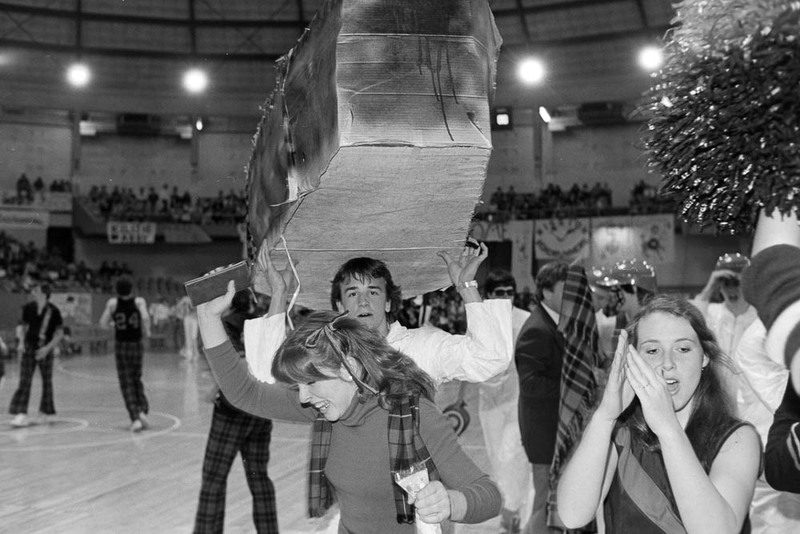 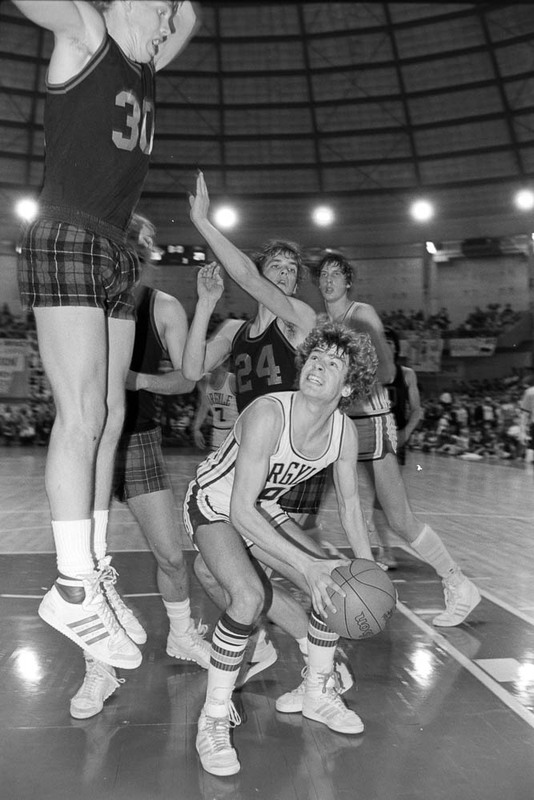 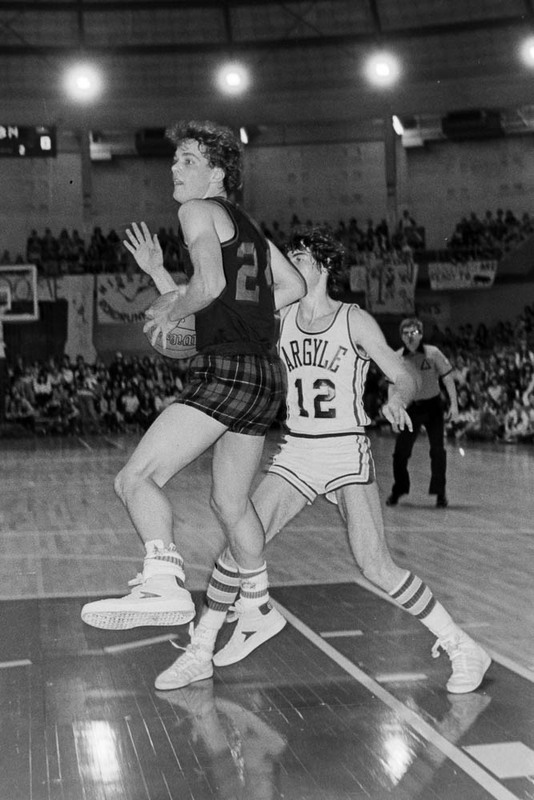 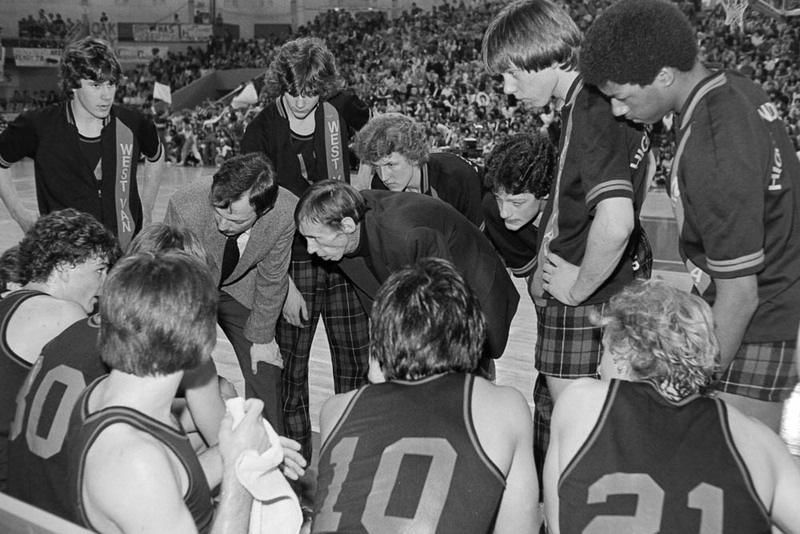 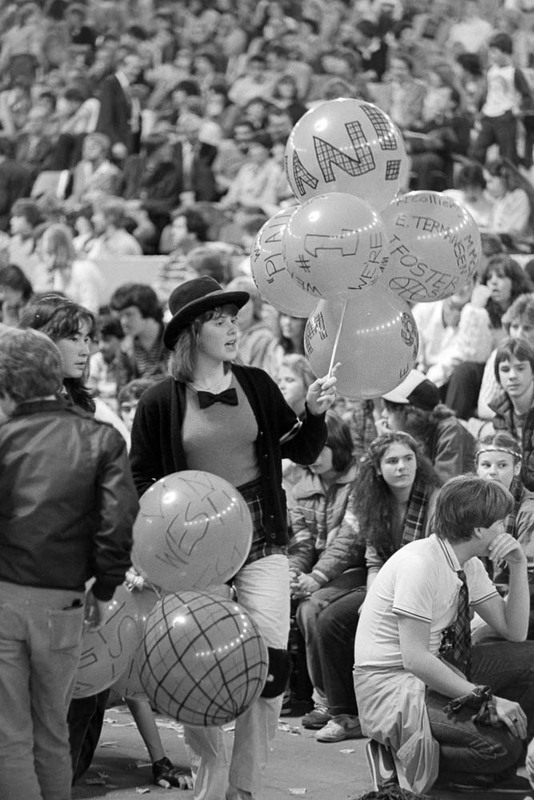 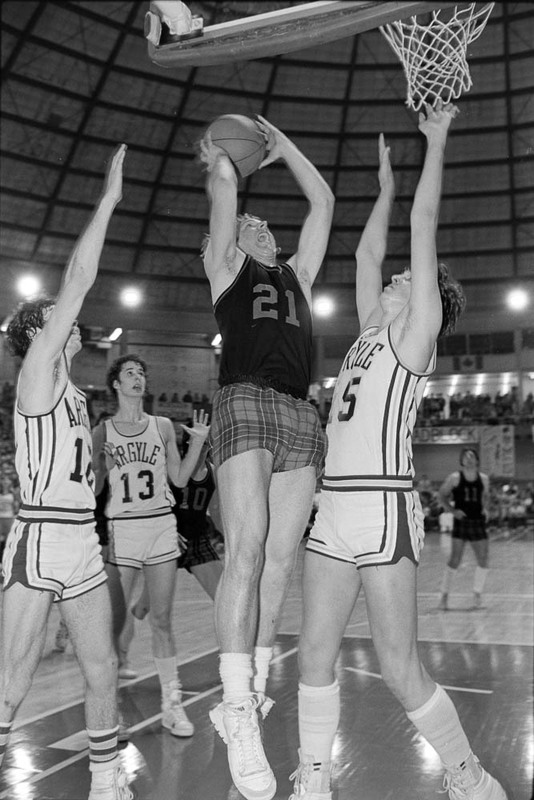 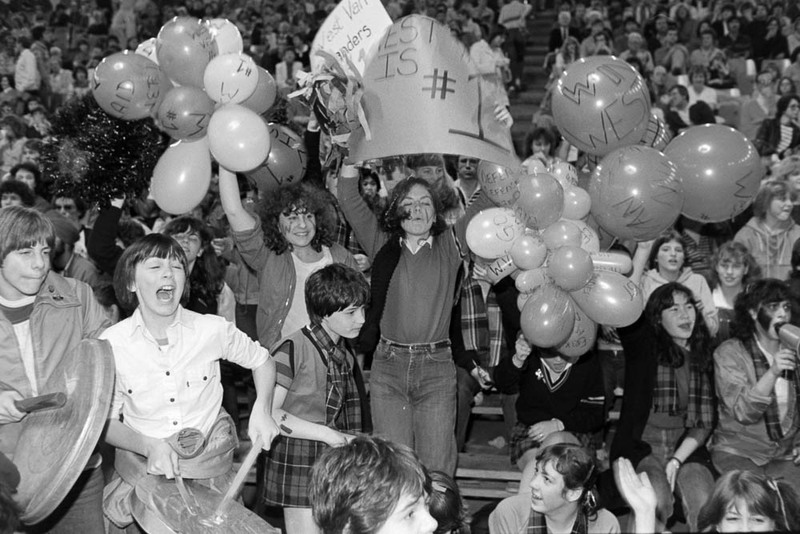 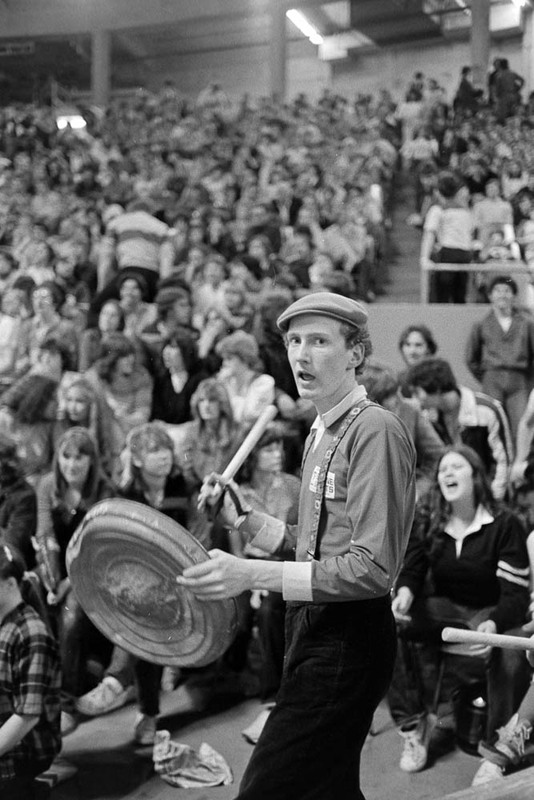 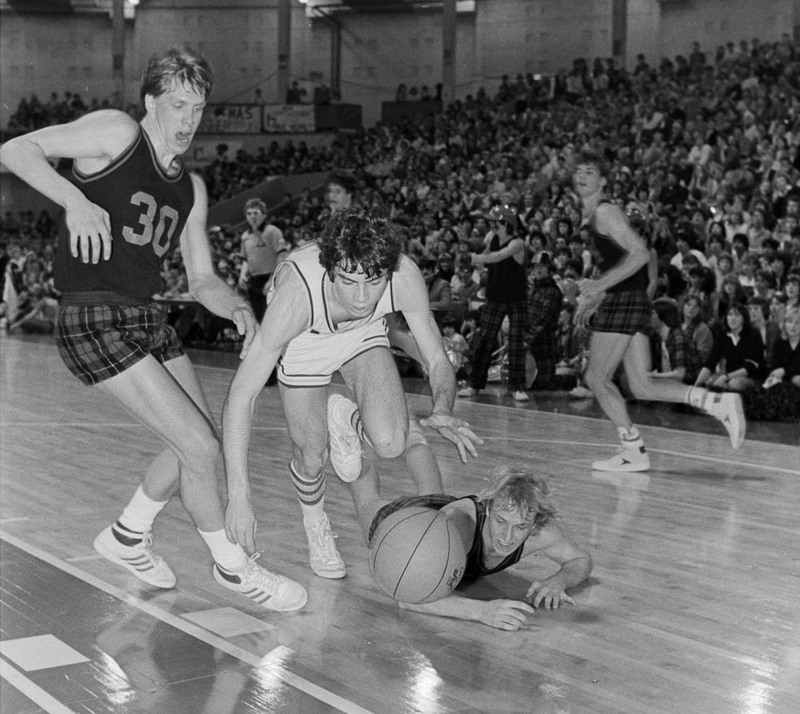 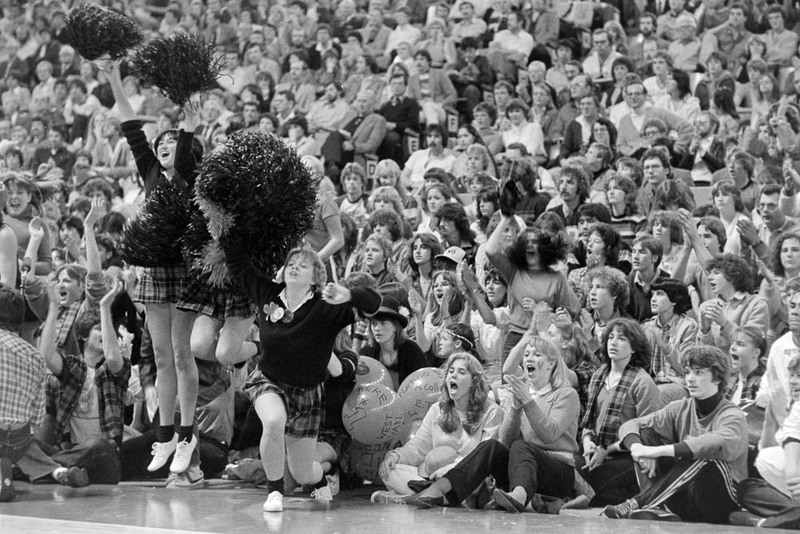 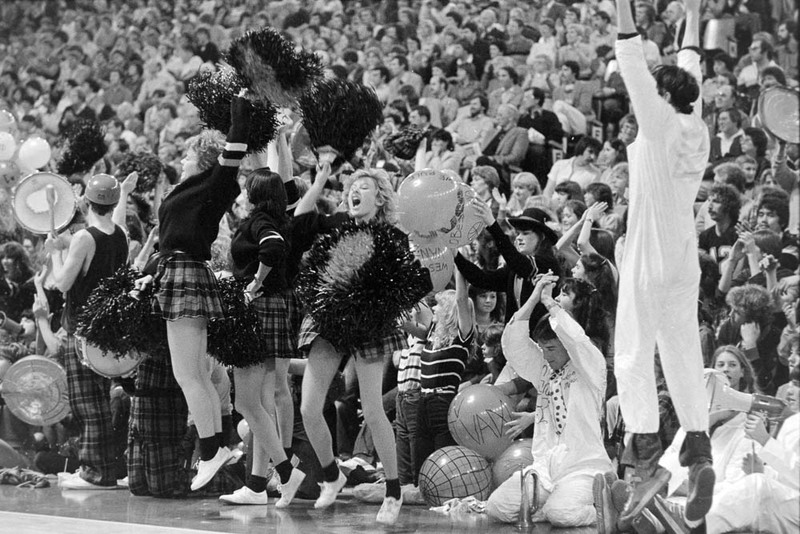 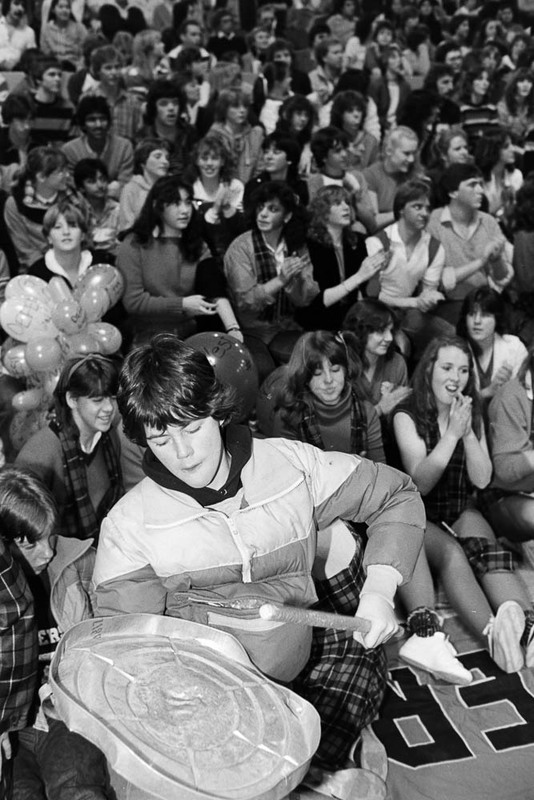 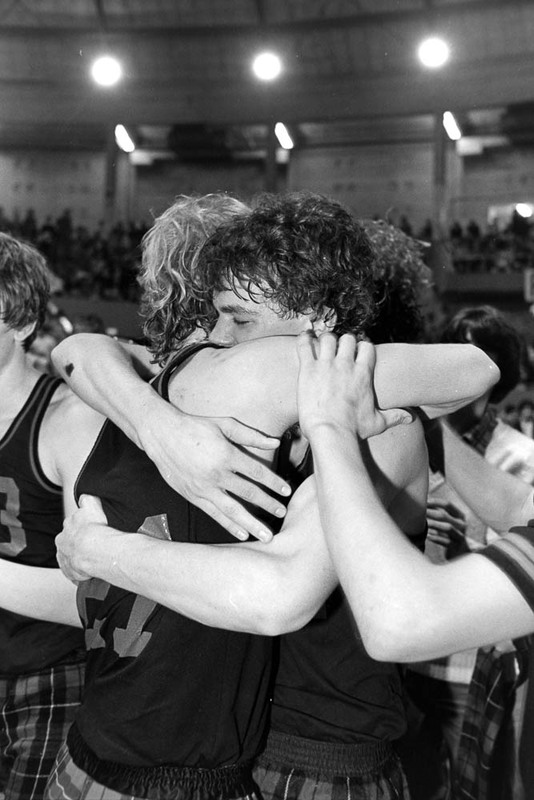 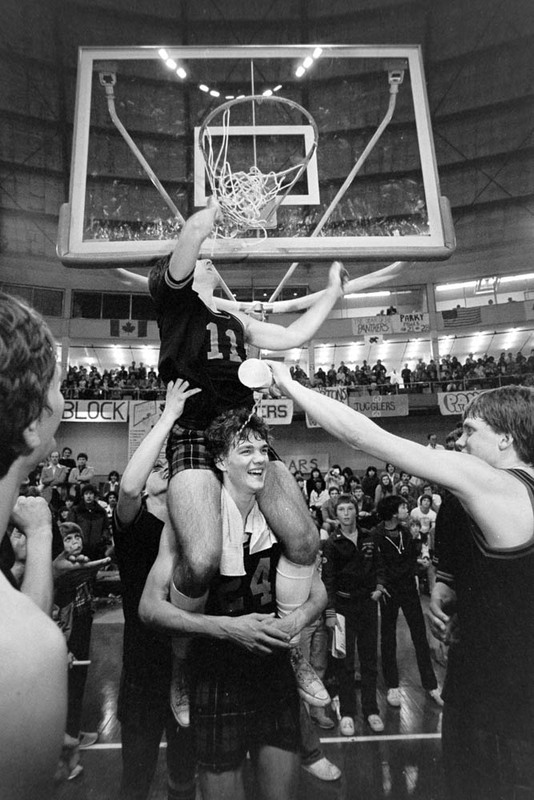 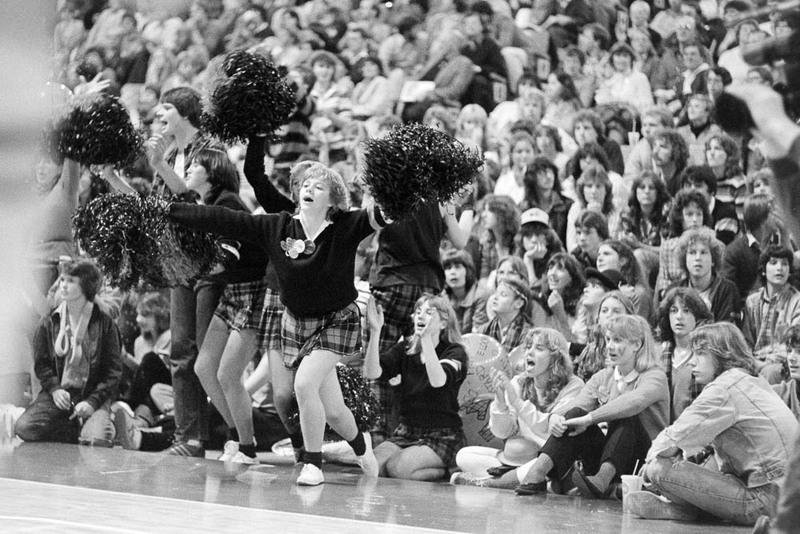 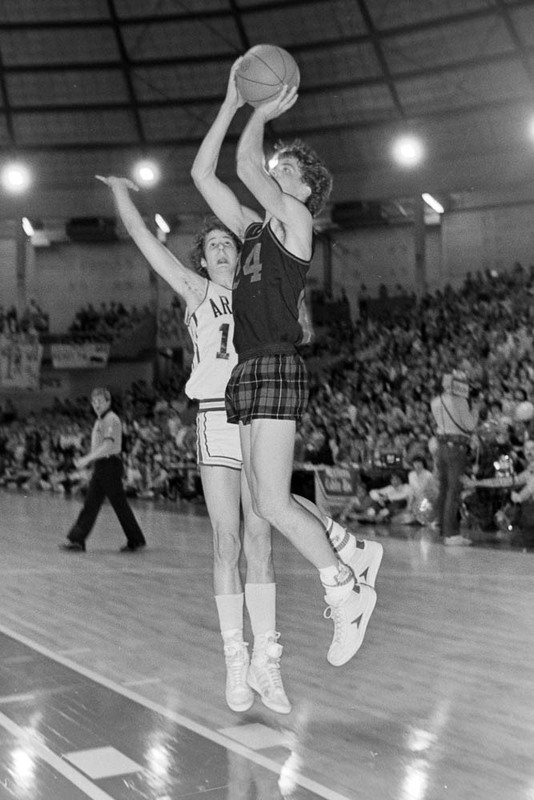 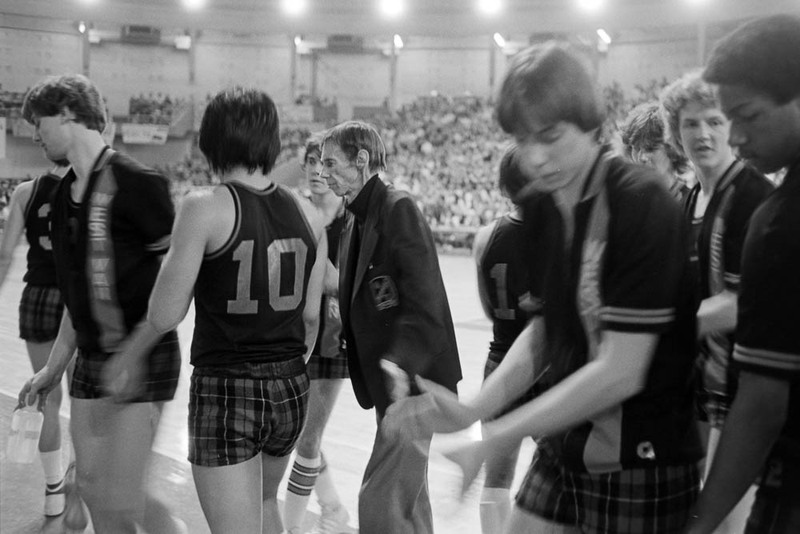 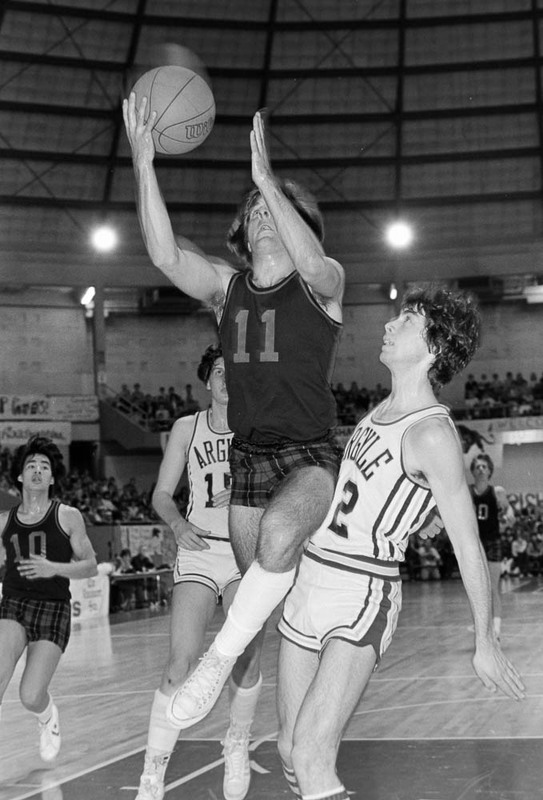 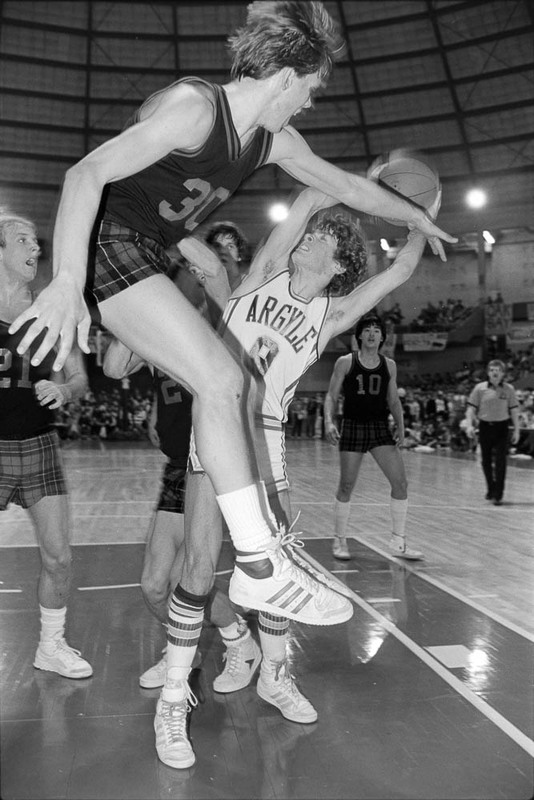 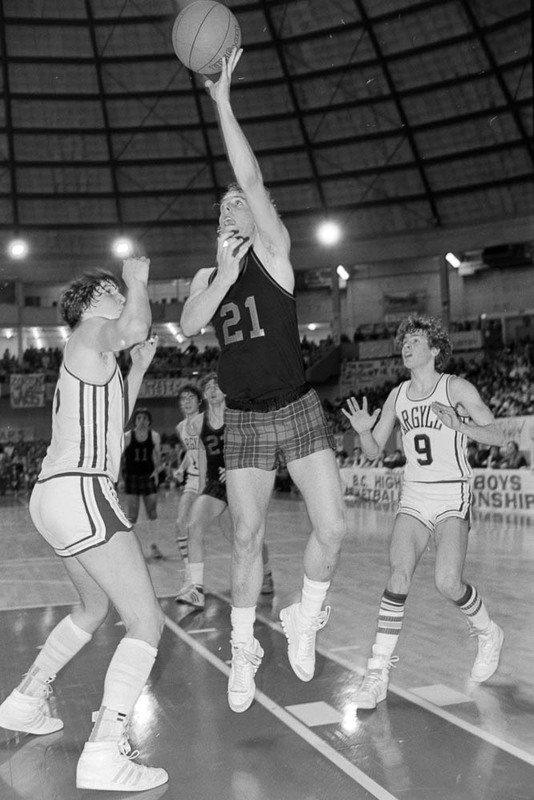 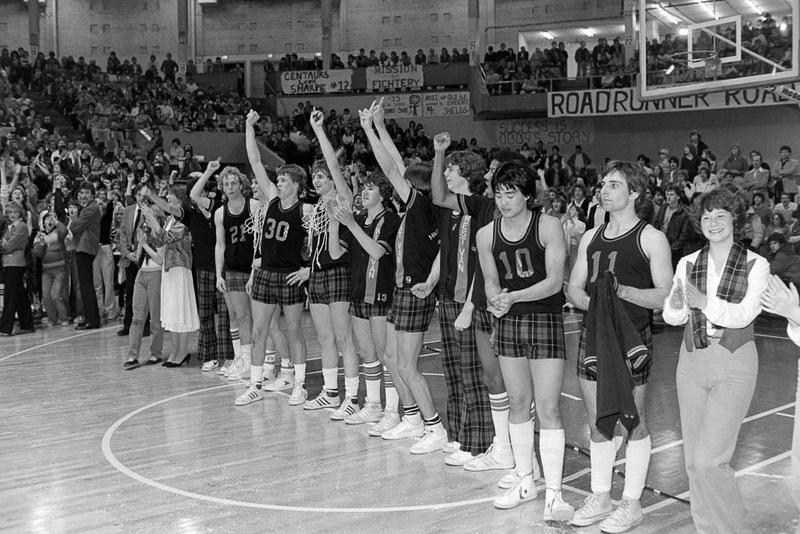 “An emotion-packed 1982 Provincial High School Championship game featured the first ever all Howe Sound final between West Vancouver Highlanders and Argyle Pipers. 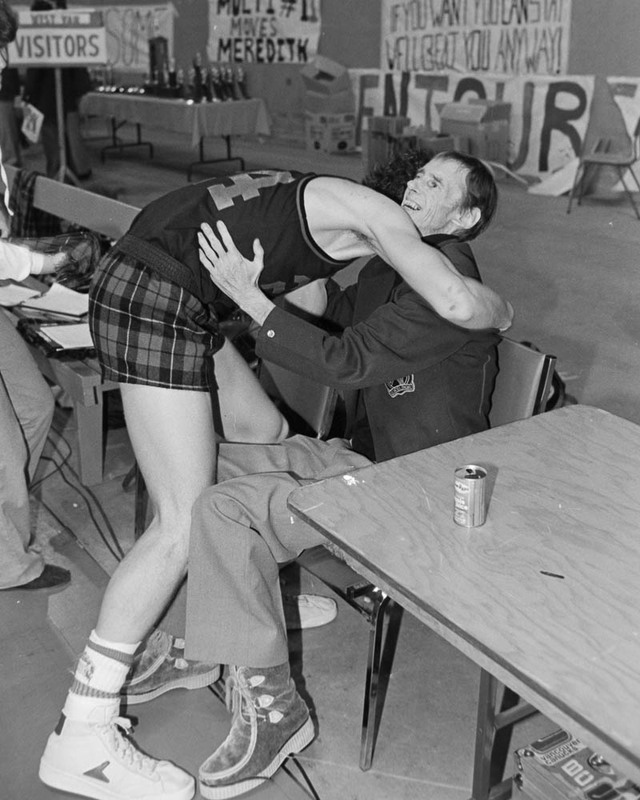 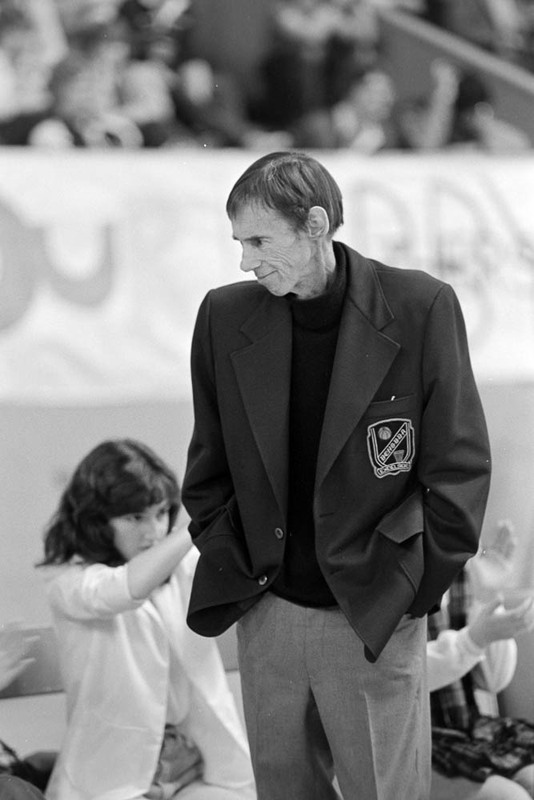 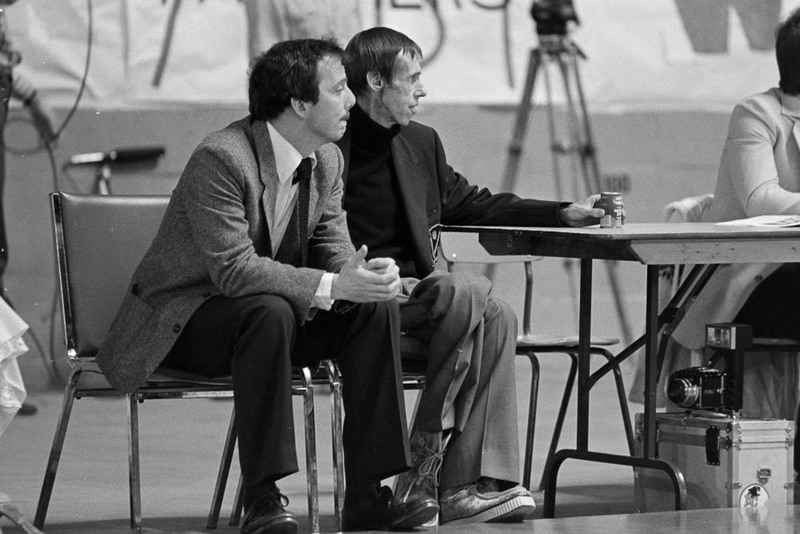 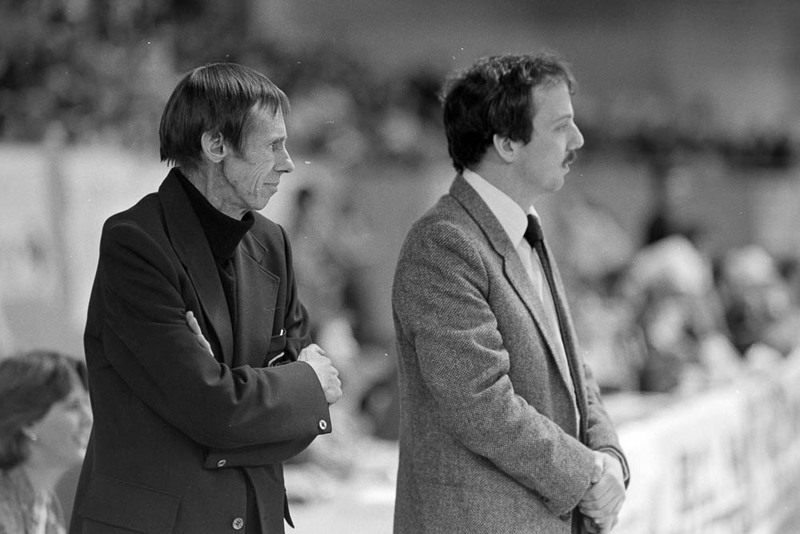 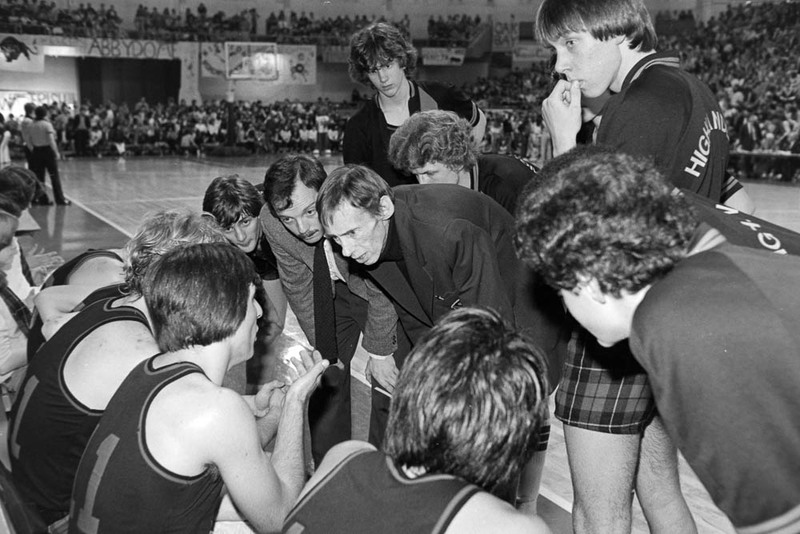 In his final game as coach of West Vancouver, Brian Upson, with co-coach Tom Rippon, guided their team to a thrilling 49-48 upset victory over the top-ranked Pipers as MVP Paul Kitchener sank two foul shots with thirteen seconds remaining to give the Highlanders their first championship. 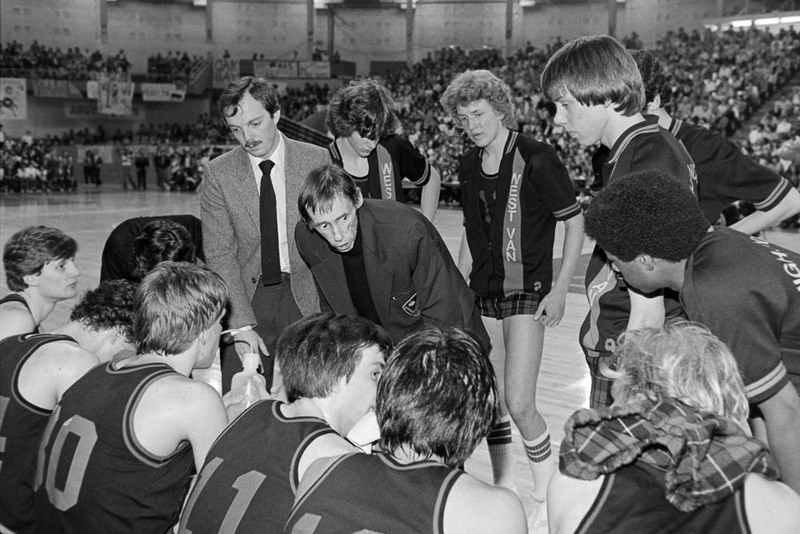 For coach Upson, it was the culmination of twenty-two years of coaching West Vancouver as he retired with a Provincial Championship.” Within a month he was dead from cancer. 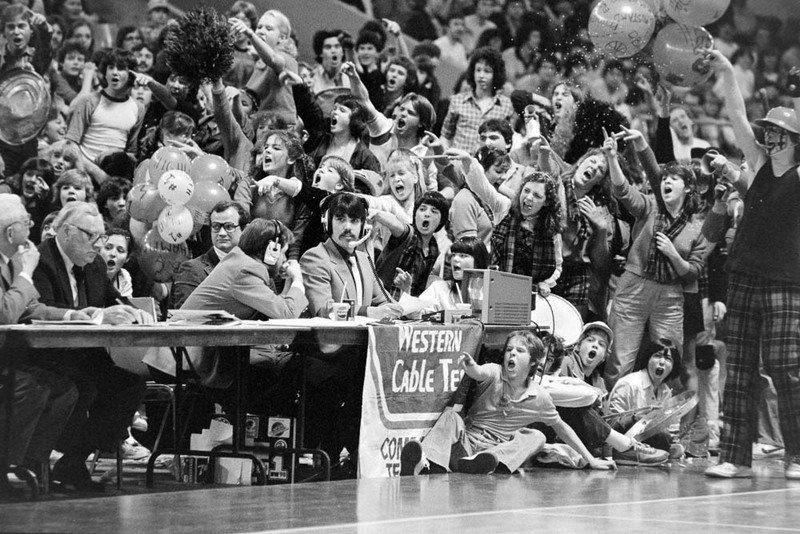 In the curious world of newspaper photography because this was the championship game few pictures of the actual game were needed. 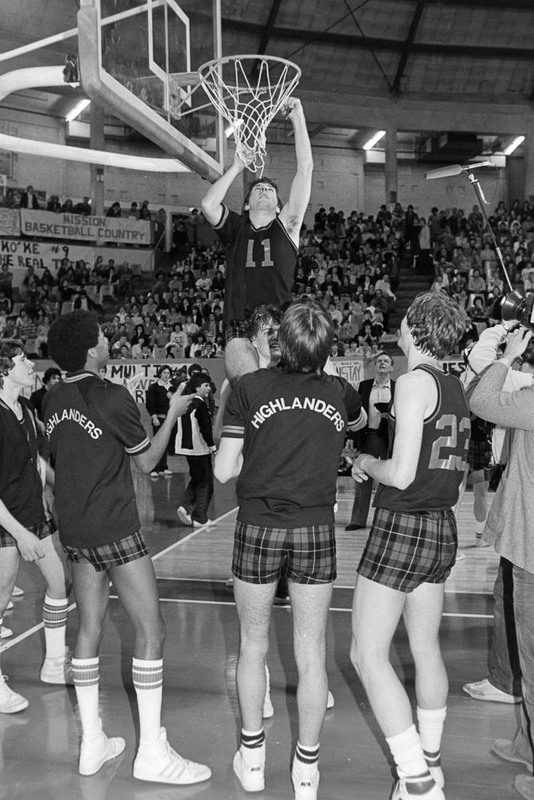 The sports department really just wanted the victory celebration plus lineup shots of MVP’s and the all star team so there was time during the game to photograph Brian with the players. 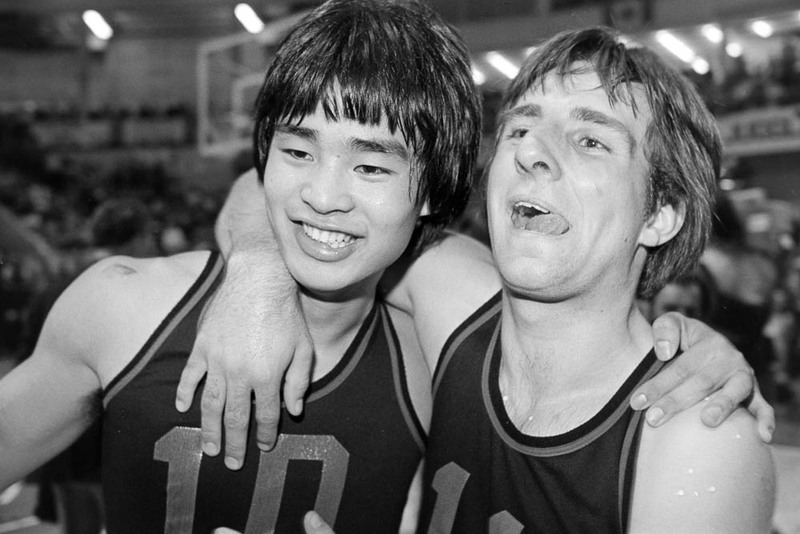 You see, I knew Brian. 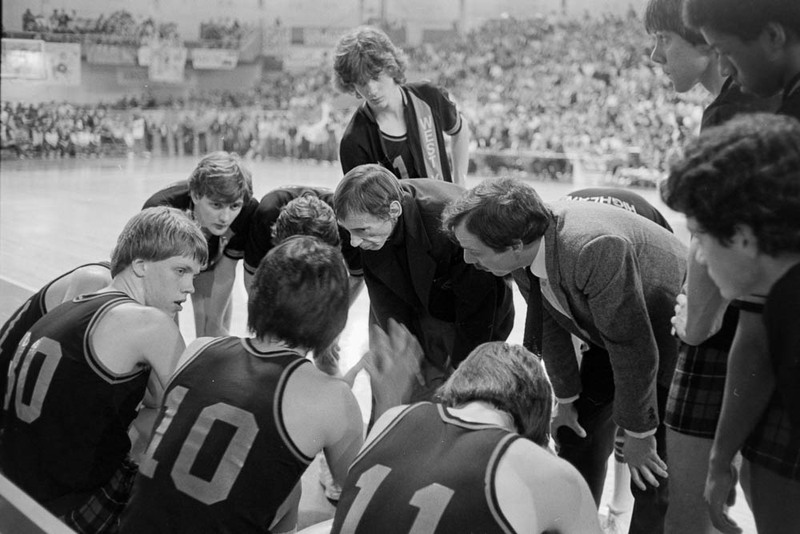 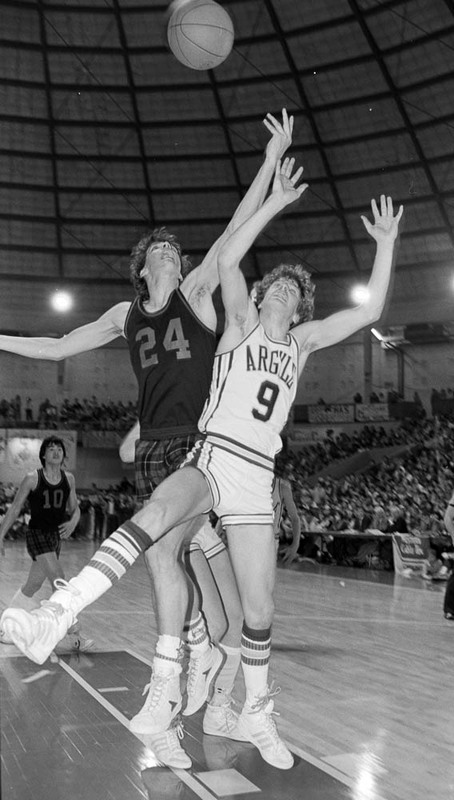 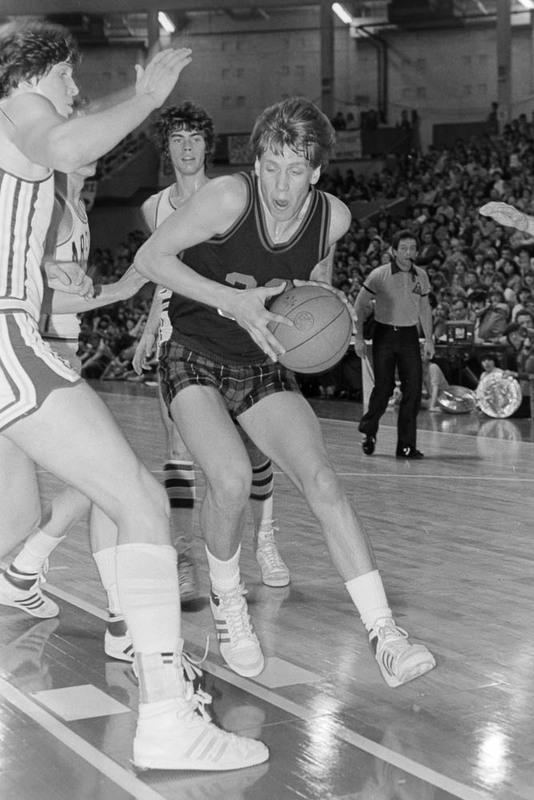 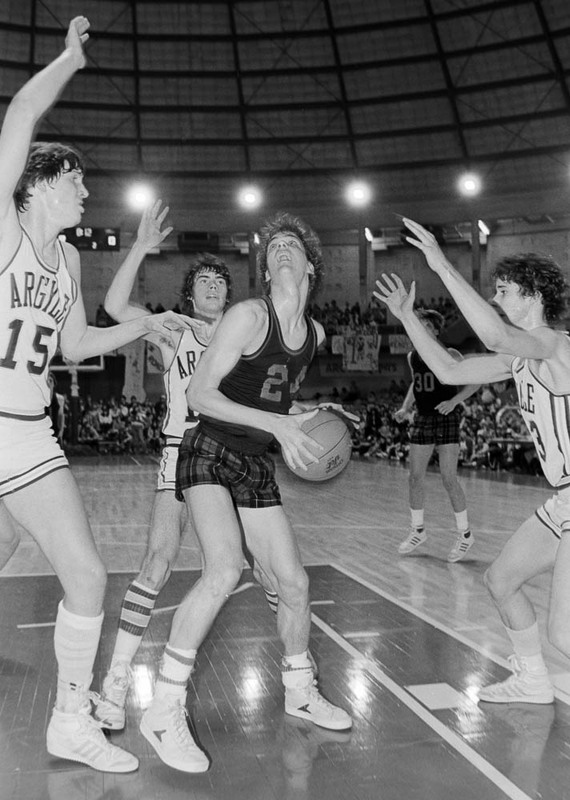 He’d been one of my PE teachers in high school and when he walked onto the court for the start of the game it was obvious this would be his last, the cancer he’d been fighting for years was about to win. 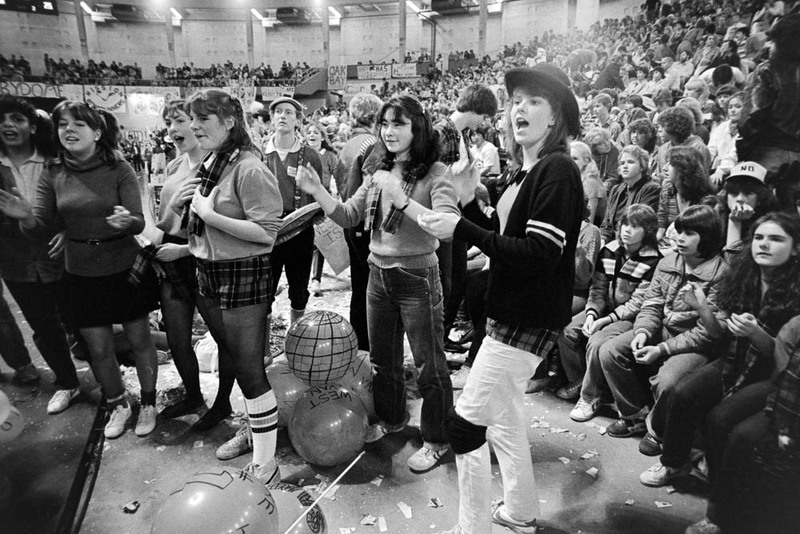 For some reason no one, reporters or other photographers covering the event, thought this was a story. 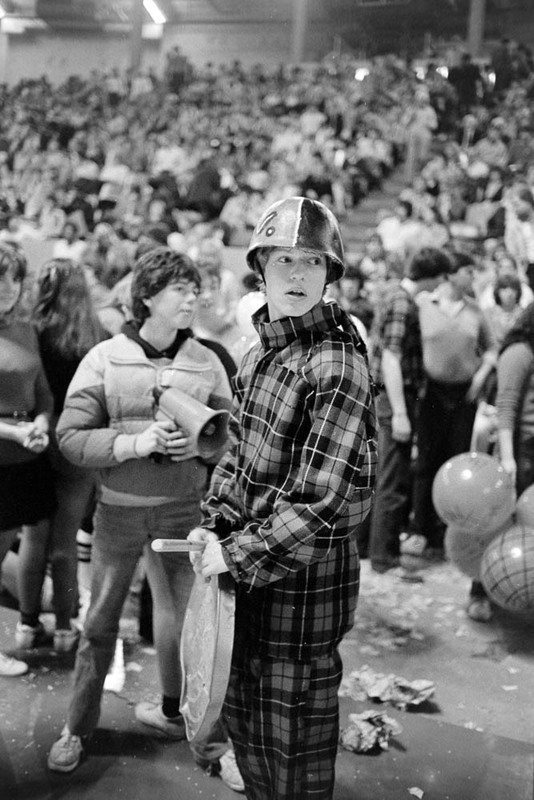 Even the legendary Bill Cunningham who had known Brian for decades dismissed it and so ultimately did my paper, The Province. 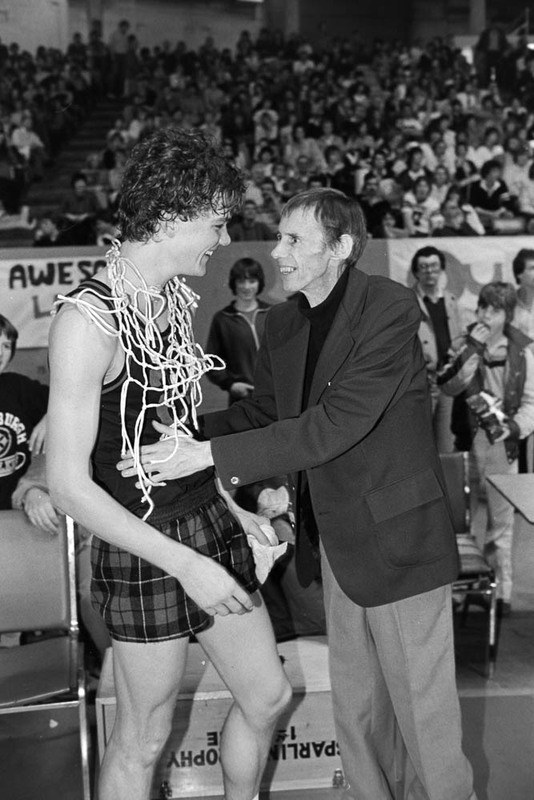 The pictures sat in my files until September 2016 when a student came across a picture of Brian that had been posted to this blog and wanted to use it in a film they were making of that championship season. 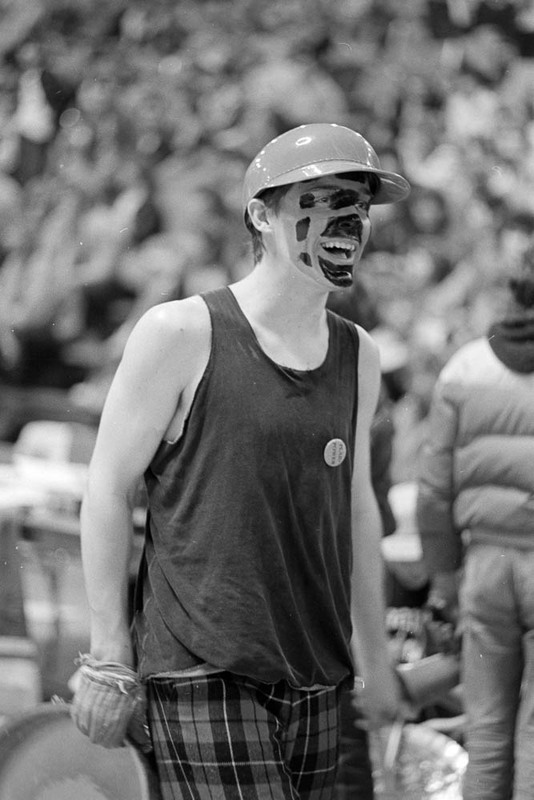 These are some of the pictures from that game. 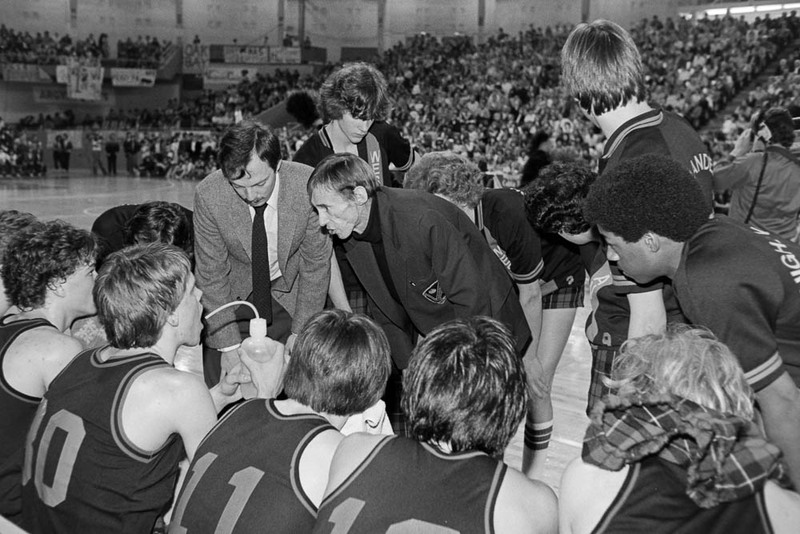 *The quote at the beginning of the story is from the BC High School Boys Basketball Association Tournament History web site.